thanks for your email - the greatest thing in scholarship today, in an age of the internet, is the democratization process of scholarship. While it was an ivory box type activity in the past where people were mostly prevented from contributing to the discourse, if they had not gone through the limiting and controlling/controlled process of institutions, which themselves where directed by ideologically oriented gate keepers, today the best of scholarship comes from what you describe as 'amateur researchers'. In my ears this is a title which has high accolades. Do keep it and be proud of it. I'll check out your websites and blogs and will see whether I can contribute anything of interest to them, as you know, I am also blogging, if time allows. On the Jesus-question, I am divided as per yet, whether and what of him was historical. All I know is, so far, that prior to the end of the second century, neither Jews nor the people who were called Christians (and perhaps saw themselves rather as Jews or Romans) were particularly interested in a historical Jesus. Paul knows (or at least tells us) almost next to nothing about the historical Jesus (except that he was born of a woman, had a meal with his disciples, died on the cross), but gives no hint at any miracles, stories, narratives ... None of the early Christians seems to miss such information. The first one who brings about all of that is Marcion (who also provides us with Paul's letters), but curiously enough, he himself is not interested in the historicity of Jesus. 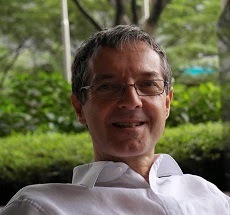 On the contrary, with his Gospel, Marcion only introduces the Jesus who comes 'from above' into the political and geographical history, in order to let us know the non-sense of history: A history which does not grasp the non-historical Jesus, a history which kills the non-historical Jesus, as any history kills all its creatures without exception. Life, eternal life, salvation, if we like, is beyond history - this is the message of this first Gospel. 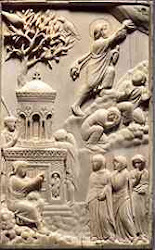 No surprise, that people, deeply rooted in a social and religious tradition which takes itself back 'ab urbe condita' and/or to Mose and the miraculous exodus got unsettled by Marcion's message and do, what Marcion criticizes, namely link his Gospel back to the Jewish Scriptures, create (in our critical, scholarly reading today, a-historical) youth stories of Jesus, add (non-historical) historical informations (like Luke's Tetrachs) etc. Historicizing of events, in the history of religion, usually is a tendency that sets in rather later, when either new social and political needs (like the second Jewish war) occur, or when memories are fading (and in oral societies memories lasted longer, than today). This is one of the reasons why I think, the early dating of written Gospels would be an anomaly in this regard, and my own reading of these texts as second century literature, negotiating the identity of Christians after the disastrous second Jewish war also make more sense. Set against this political and social background, the struggle for finding a 'third way', for self-definition, the Gospels become part of the writings of apologies. When, therefore, today people approach the question of the 'historical Jesus', they should be aware that they are anachronistically imparting a question into the first two hundred years where this interest was largely absent, at least amongst those people who were soon to become known and singled out, apparently mostly against their will - Paul persecutes them, people in Antioch call them by the shame name 'Christians', a few Roman voices know them by this name, but apparently none has applied as a self-designation until Marcion's in his Antitheses, and following him, Pseudo-Ignatius. Hence, the strong alignment of today's scholarship with the apologetic tendency and tradition of the late 2nd and early 3rd century with prominent examples like Harnack and his contemporary followers. Yet, with a more critical sense, we can go beyond this state of research and dig deeper into the second and first century, to see the enormous interest on an angelic and mythical figure of Christ who has been seen like a redeemer, perhaps in line with those kings and Emperors who were regarded as super-historical heroes (the Persian king Kyros who in Jes. 45:1 becomes the Jewish Messiah, Alexander the Great, Augustus) or aspired to be like them (including the Messianic figure of Bar Kokhba). Why would people want them to be historically determined people - I think, it is more a modern and contemporary concern and a concern for people who need to define themselves within a particular historical and political situation as a self-defence, something we find around the mid second century, driving the writings of subsequent decades. In the past I have read your posts on textual matters with great interest. Thanks for sharing the title Amateur Researcher with us. I find it more satisfying than 'non-specialist' that I often use when posting remarks on scholarly blogs. if you're interested, I think I found some clues that support the priority of the Gospel of Marcion compared to the same Mark. In short, in Mark 14:3-9 Jesus is contradicting deliberately Deuteronomy 15.11, by deniyng aid to the poor. The point of Mark is that even a immoral act as denying aid to the poor is made ''moral'' if prescribed directly from the Jewish Messiah Jesus. In Marcion's Gospel, instead, even a immoral woman as a prostitute becomes worthy of perfuming Jesus. The point of Marcion is that the loves of his Alien God overcomes the same Torah. It's curious that, in Mark, Jesus is anointed on the head (and not on the feet, as in Marcion's Gospel). Maybe that is even the unction of feet a marcionite antithetis? Usually, a Christ (Messiah) is anointed on the head. These clues betray that Mark shows marcionite influence. He is marcionite even more than Marcion! Hi Markus, I am also an "Amateur Researcher" on the subject of the historical Jesus, and primarily because the pros in this field of study have failed so miserably! I would like to bring to your attention a new book with a new approach to historical Jesus studies. I am pleased to send you a complimentary copy upon request (through the contact page on my website).